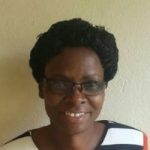 Rose Malamba is an experienced Registered Research Nurse with a proven track record working in research projects for 18 years. She began her career as a theatre nurse in 1987. In 2000, she joined Malawi Liverpool Wellcome Trust as a research nurse. As a nurse, Rose has obtained various professional qualifications specialising in Endoscopy and Spirometry. She holds a Certificate in GI Endoscopy obtained from Keymed Southend-on-sea as well as the European Respiratory Society European Spirometry Driver’s Licence. She is a certified spirometry facilitator and the lead trainer for spirometry in Malawi. She is also a Gastroscopy Nurse Trainer across Africa. Rose is happily maried to Steven with two children Manuel and Tellinus. During her free time, Rose sings gospel music and operates a part time poultry business under the brand name of ‘’Rostel Chickens’’.